Antminer S5: Today, Antminer Distribution is proud to announce its 3rd generation chip in conjunction with its 9th product: the Antminer S5. Bitmain’s 3rd generation Bitcoin mining ASIC in the Antminer S5. The BM1384 provides significant improvements over the previous BM1382 chip. Hashrate per mm2 at voltage 0.75V has been increased over 20% while reducing power consumption by 30%. This improvement is the result of months of hard work and investment in the Bitcoin ecosystem. 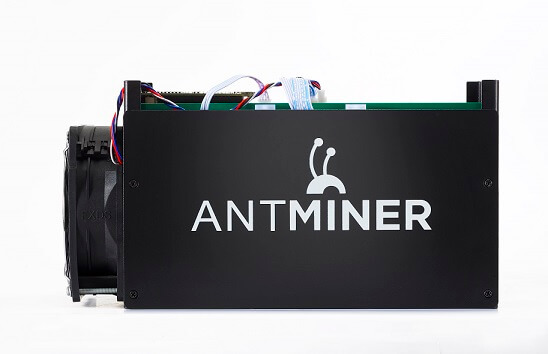 Building upon the foundation from the S1 and S3, the Antminer S5 retains the same small form factor of previous miners, but with the more efficient BM1384 chips. 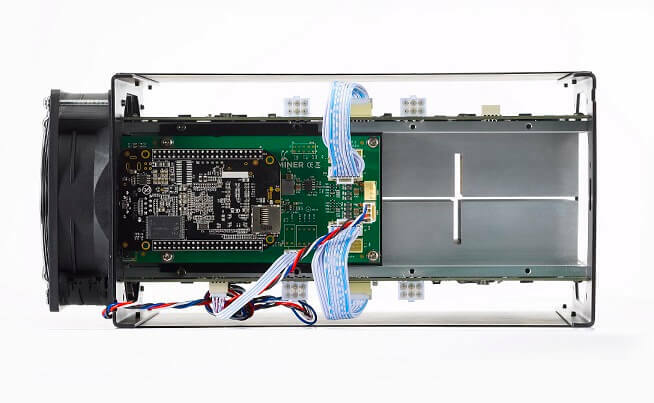 The antminer S5 uses one fan for quieter home operation. It also features multiple improvements over the strong Antminer S3 design. PSU: A power supply unit is not included, and you will need to provide an ATX PSU. There are 4 PCI-e connectors for +12V DC input and all four are required. Do not connect more than one PSU to the same hashing board. We strongly advise you our Antminer 1600 watt PSU. When better power efficiency is needed in the future due to higher network difficulties, you may want to buy some special PSUs 9V DC with more than 10A output, which will allow you to have a 0.2J/GH mining efficiency, but at lower hashing speed. Shipping for only €20,- all over Europe! Please also check out the latest offer of the Antminer S7!